MONTREAL – Montreal Canadiens general manager Marc Bergevin, announced Thursday that the team’s 2015 first round pick, defenseman Noah Juulsen, has agreed to terms on a three-year, entry level contract (2015-16 to 2017-18). In 68 regular season games with the WHL’s Everett Silvertips in 2014-15, the 6’1’’ and 171 lbs defenseman led his team defensemen in assists (43) and points (52). Three of his nine goals were scored on the powerplay. He served 42 penalty minutes and maintained a plus-22 differential, the team’s second highest plus/minus ratio. Juulsen added one assist, eight penalty minutes and a plus-5 differential in six playoffs contests. A native of Surrey, British Columbia, Juulsen totals 62 points (11 goals, 51 assists) in 128 regular season games since making his juniors debut with Everett in 2012-13. He has served 74 penalty minutes and displays a plus-33 differential. 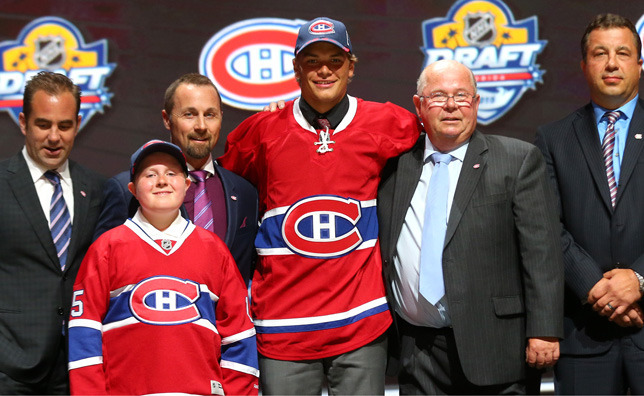 The 18-year old defenseman was selected in the first round, 26th overall by the Canadiens at the 2015 NHL Entry Draft. He currently takes part in his first development camp with the Canadiens.